NFPA Clean Agent concentration level changes: What you need to know! 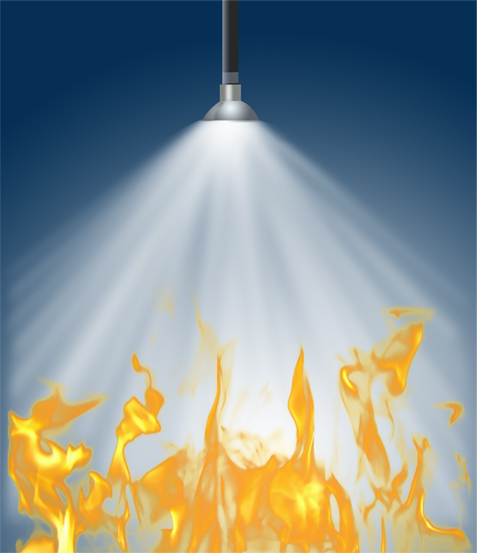 Clean agent fire extinguishing systems are governed by NFPA 2001 Standard on Clean Agent Fire Extinguishing Systems. On September 2, 2011 the NFPA Standards Council approved the 2012 edition of this standard which contains a few important changes. Included in the new edition are increases to the minimum design concentration of the clean agent gases. Previously, the minimum design concentration was simply the minimum extinguishing concentration (MEC) multiplied by a safety factor of 1.2. The MEC is determined by the results of an approved Underwriters Laboratory test protocol. A unique test standard is used to determine the concentration for extinguishing Class A (ordinary combustibles) fires. Another test standard called the “cup burner test” is used to determine the concentration for extinguishing Class B (flammable liquid) fires. It’s important to note that in previous editions of the standard, the minimum design concentration was the same for both Class A and Class C (energized electrical) fire hazards. Changes were made in the new edition to differentiate between these two fire hazards. The first important change involves the minimum design concentration for Class A surface fire hazards. Beginning now, the concentration used for protection of Class A fuels may not be less than the minimum extinguishing concentration for the flammable liquid heptane as determined using the Class B cup burner test. The result of this change is that the minimum design concentrations will increase for all clean agents other than the inert gases. Inert gas clean agents such as Inergen and Argonite will not change. For a summary of these changes, see column 2 of the table below. A second important change involves an increase in the minimum design concentration for protection of Class C electrically energized fire hazards. While no specific test standard exists for determining the concentration required to extinguish a Class C fire, the NFPA 2001 standard has always required it to be “at least that for Class A surface fires.” For several years, the NFPA 2001 Technical Committee has discussed and debated the need to make adjustments for extinguishment of fires which are augmented by electrical energy. The committee agreed to increase the concentrations after considering laboratory test data, alignment with the ISO (Europe) standard and an extensive literature review. Beginning in the 2012 edition, the minimum design concentrations for protection of Class C hazards will be the MEC multiplied by a safety factor of 1.35. Designers and installers must now used an increased concentration of agent for protection of spaces such as Data Centers or Telecom facilities in cases where the electrical equipment cannot practically be de-energized prior to discharge. For a summary of these changes, see column 3 of the table below. The prescribed Class C design concentrations cannot be used when the protected space contains an energized electrical hazard supplied at greater than 480 volts. If equipment supplied with greater than 480 volts must remain powered after discharge, then the standard requires the design concentration be determined by a hazard analysis and additional testing. When considering the impact of these changes, it’s important to remember that they are not retroactive. Once the new edition of NFPA 2001 becomes required by your state or local building code or other authority having jurisdiction, then all new systems must be installed using these increased concentrations. Existing systems are not required to be upgraded to meet these new requirements. If you have further questions about these changes, don’t hesitate to contact one of our fire protection experts for answers.